Up until now, Tacomans had to go all the way up to the awesome 99 Bottles in Federal Way (pictured here) to find specialty beers. The Watsons’ Pint Defiance promises to be just as much fun. Beer. It’s one of the foundations of civilization. At the end of a long day there are few things better than an ice cold beer. Beer lovers in Tacoma know of the handful of places throughout the city that have a better than average beer selection. I’m not talking about a place with Red Hook ESB. I’m talking about a place they might carry Old Engine Oil. 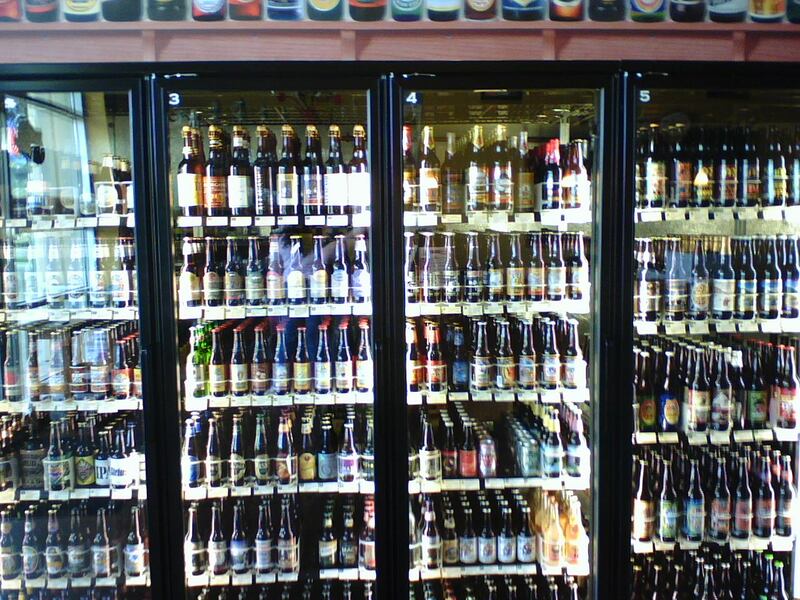 The bottom line is that Tacoma simply doesn’t have a specialty craft beer store. This fall that will all change when Barry Watson opens Pint Defiance. As soon as I heard about this, I tracked down Barry Watson who is co-owner with Renee Watson and asked him if he’d like to be part of 5 Question Friday and tell us all about this new venture. Here’s Barry. 1. What is Pint Defiance? A retail store and taproom dedicated to the love of great beer. We will stock hundreds of labels & have draft taps also. You can purchase bottles, fill growlers, enjoy a pint & attend tasting events. 2. Why do you think Tacoma is a good place for a Craft Beer Store? I have always felt that a store solely dedicated to craft and quality beer has been something missing from Tacoma business landscape. Good beer has become such an integral part of northwest culture and lifestyle that we wanted to celebrate it. 3. What is the most underrated beer out there? I’m not sure if they qualify as underrated, but I have really been enjoying some of the smaller Hood River breweries. Everybody’s Brewing, Country Boy IPA & Double Mountain, Vaporizer Pale are super tasty right now. Also, Shane Johns & Sean Jackson at the Engine House #9 have really stepped up the quality and variety of beers that they offer. 4. What other projects are you involved in? 5. When you’re going out for a beer, what Tacoma bars do you like? Both the Red Hot & the Parkway Tavern have an unmatched selection & range of beer. Not just in Tacoma, but in the region. Either bar can easily hold its own against any pub in Seattle. Also, you can’t beat a enjoying a fresh pint in the beer garden at 7 Seas (I know it’s not Tacoma, but my palate does not discriminate geographically). I’d like to thank Barry for taking the time to join me on 5 Question Friday. Rest assured that when Pint Defiance opens you’ll be reading more about it here.